The application window of Delhi CET 2019 has been opened from 01st April 2019 and will continue till 30th April 2019. Apprentices who are willing to pursue diploma courses in medical or non-medical subjects from the prestigious Pusa Institute of Technology Delhi and other eminent polytechnic institutes of the state can send their entries for Delhi Common Entrance Test 2019. The exam is managed and conducted by the Department of Training and Technical Education, Government of NCT Delhi for the meritorious students who wish to pursue a career in the subjects like engineering, pharmacy, technology, fashion, etc. 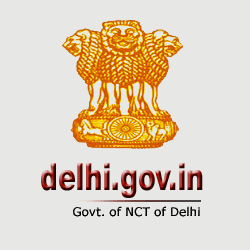 Through this piece of writing, apprentices can check details of Delhi CET Polytechnic 2019 Exam and get a clear idea about its application form, eligibility criteria, important events, fee structure, exam pattern & syllabus, etc. Through this exam, 85% seats are reserved for Delhi state students while the remaining 15% seats will available for outsiders of the state. The application form for the Delhi CET 2019 will be filled via online mode. The overall process of application has been categorized into four steps- Registration Process, Fill the Application Form, Upload Important Documents, and Process of Fee Payment. Documents like aadhaar card are mandatory to submit as a valid ID proof in order to submit an online application. View this article to understand the comprehensive structure of application process for CET Delhi 2019 Exam. Visit and open the official website. Click on the ‘Delhi CET 2019 Exam’ link. Read all the important instructions before applying online for the exam. Now, enter all the necessary details including personal information, academic background, contact details, etc. After this, select the course which you want to apply. Now, click on the submit button to proceed on the next step. Click on the ‘Upload Image’ tab and attach all the necessary documents (Passport size photograph, signature, and left thumb impression’. The image should be uploading in a jpg file format with a size between 10KB to 100KB for the colour photograph and 2KB to 20KB for left-hand thumb impression and signature. Submit your images and proceed further to pay the examination fees. Once you upload all the important images, click on the ‘Pay Examination Fee’ button. Pay the application fee of ₹ 400+ ₹ 15 (Bank Charges) + ₹ 3 (Service Charges) through online mode. Submit your card details and make your payment. Note: Apprentices are advised to take a print out of the filled application form for further use.